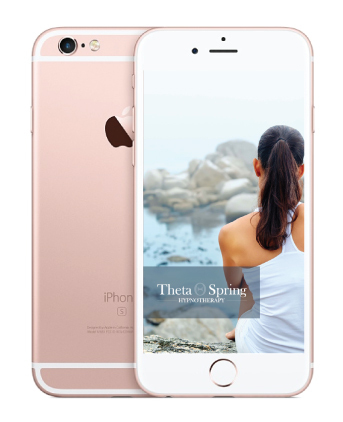 The Theta Spring At Home Hypnosis app is a chose your own adventure hypnosis app. Our app allows users to custom build a recording from our specially crafted hypnosis inductions, personal growth sessions, and re-awakenings. Thereby allowing for a deep level of subconscious change in a format that has been created by you and designed for you. We even hired a sound engineer to create a powerful binaural beat that can be selected as a sub-layer to your hypnosis recording. Our Binaural beat was designed to help deepen your state of relaxation in order to increase the efficacy of the hypnosis. This powerful beat can only be heard with headphones on, and we look forward to having you experience this hypnotic adventure of voice and sound! Users are able to pick anywhere from one to several inductions to help them get into the hypnotic state. Why did we do this? Well….everyone gets hypnotized differently. Some clients can visualize very well, while others are more able to tune into different relaxing sensations in their bodies. Our Inductions each tap into a different experience! Whether you pick one or several, they will seamlessly guide you deeper and deeper into the hypnotic state. The Personal Growth section of the recording is what you want to work on! Whether it is weight loss or nail biting, our numerous personal growth sessions have been formulated to provide empowering hypnotic suggestions that will resonate with your subconscious mind in order to create a dynamic shift in your life! Whether you want to fall deep asleep, meditate on the hypnotic suggestions, or reawaken full of energy, our reawakening selections allow users to pick what they want to do next!